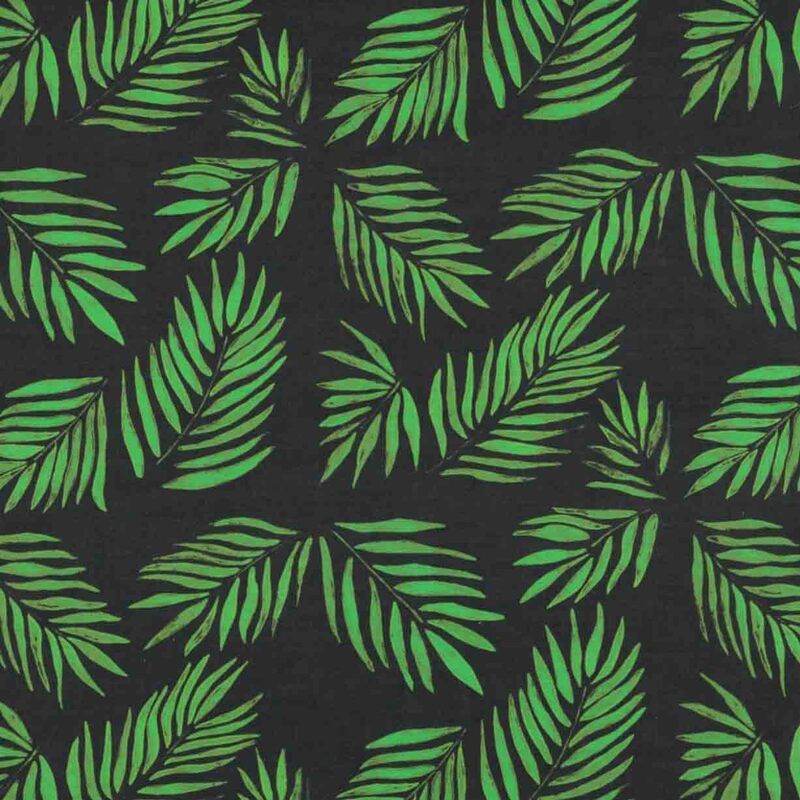 Luxury linen featuring the tropical Palm Beach print created by Mariska Meijers from hand drawn palm leaves set against a dramatic dark background. The Palm Beach pattern is available across our interior collections. 54 x 54 cm / 21,5" x 21,5"